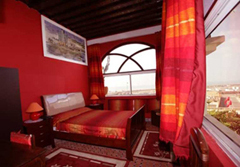 Surf camp set up in typical Moroccan-Riad style in city center 5 minutes from the beach, ideal for surf holidays in Morocco. This is a boutique surf camp with capacity for 33 people. 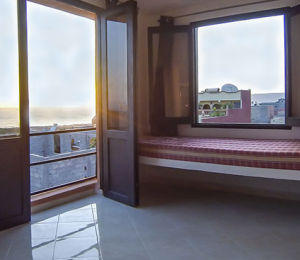 The best place to stay and discover Safi surfing area, located in the heart of Safi's Bay with a stunning views over the castle, seaport and the world famous Safi's point break. 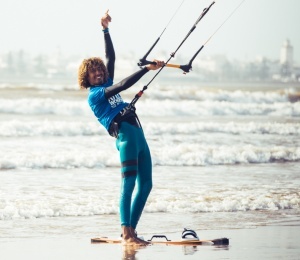 Safi’s perfect wave is no longer a secret. 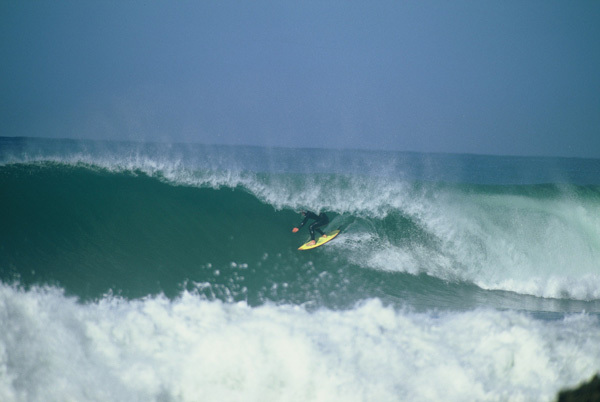 This wave was discovered accidentally in the 70’s by a group of friends on their surf trip to Morocco. Since then, many surf riders have come to surf its fast right hand barrels. This is no wave for beginners but there are many other surf spots nearby with easier waves perfect for learning how to surf and improving skills. 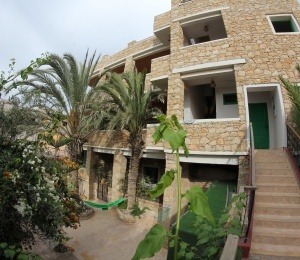 Safi Surf Camp and its surf school is located in the heart of Safi's Bay close to the beach and city center. The best solution to explore at your own pace everything that Safi has to offer. You'll appreciate its unique location within walking distance of Potters Hill and Medina with all its shops, restaurants and cafes. 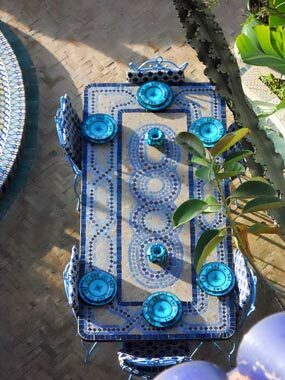 This surf house has everything you need for comfortable surf holidays plenty of good Moroccan vibes! The surf house was designed for surfers looking for a quiet and pleasant place to stay and have an easy access to the beach. After a well-served breakfast our staff is ready to take you to hit the waves. You'll be joining the surf classes or the surfari. Our surf instructors or surf guides are experienced and certified surf instructors have precise knowledge of beaches and waves of the region. All the instructors are really friendly, funny and deeply concerned about the ecology of the ocean. They'll guarantee that you won’t get bored during your stay with us. Besides surfing we'll find you other extra activities all over the year like fishing, wakeboarding, Stand Up Paddling, horse riding, tennis. 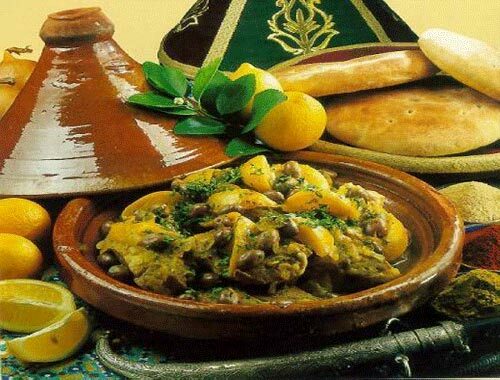 Airport transfers from and to Marrakech, Casablanca, Agadir, Essaouira can be arranged. 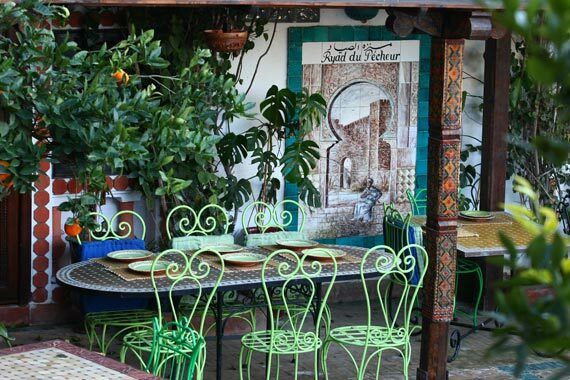 You'll find very easy to reach Safi, especially if coming from Europe. Direct daily flights connect these airports with many European cities. 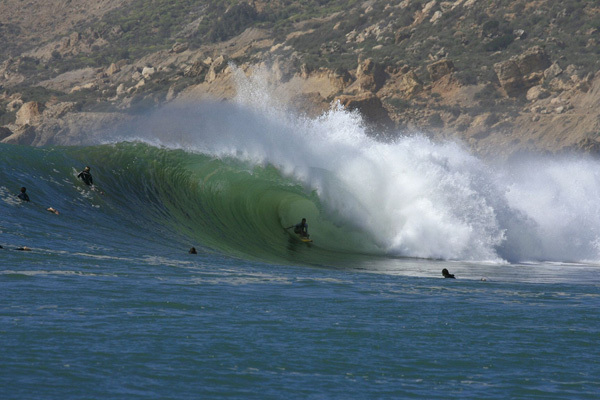 Come and see for yourself why Morocco is considered to be the best winter surf destination for Europeans. Average temperatures always above 15 Cº even during the months of December to February. 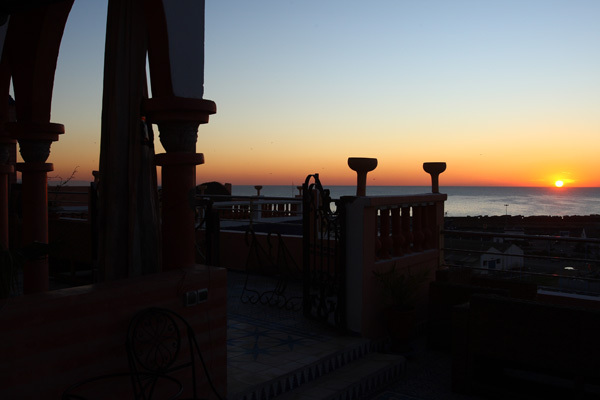 The surf house is set on a traditional Riad, located in the middle of the Safi's Bay with stunning views over Safi's surf spot, the castle, the city and fishing port. It's located just 5 mins walk from the beach and harbor as well as all the shops, restaurants, cafes and bars in the old town. 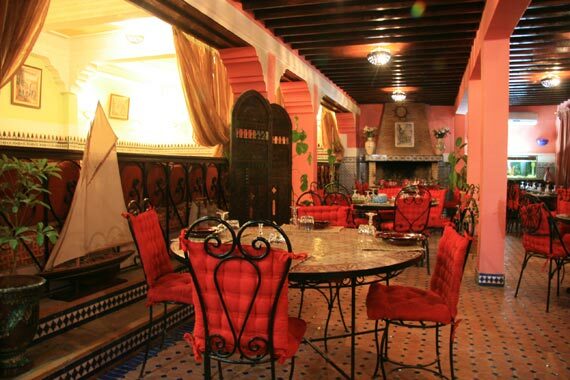 This old but renovated Riad has always been a guest-house that kept its authenticity and architectural heritage told by thousands of ceramic mosaics coating the walls. 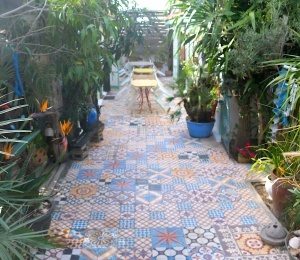 Like all Riads style, the building is organized around a patio with a fountain. 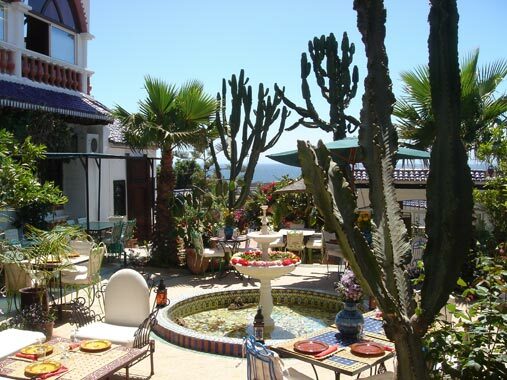 The house has 2 rooms and 8 suites that can comfortably accommodate up to 33 people. 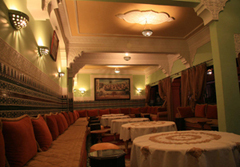 All rooms have private bathroom, very spacious and decorated with Moroccan themes. 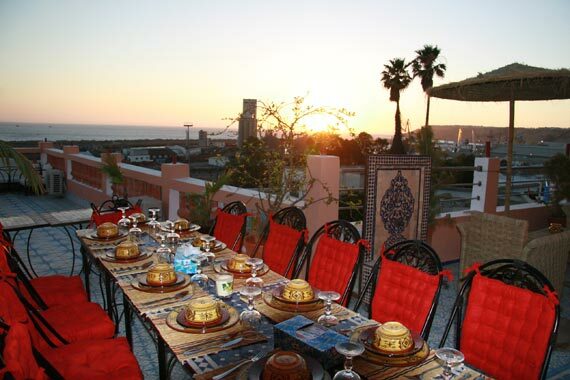 Try to take your breakfast in bed with a magnificent view of the ocean and some of the best surf spots in Morocco. 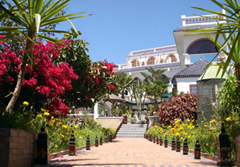 There's also a lounge and breakfast room as well as a big terrace for sunbathing and restaurant. Breakfast is included in the price but all meals can be provided. 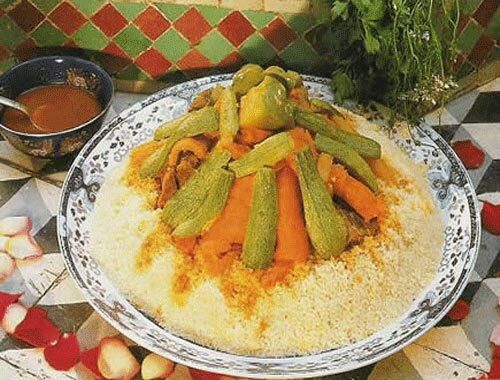 We have a real good chef master in all sorts of Moroccan dishes! A unique chance to know this rich gastronomy full of flavors and textures. 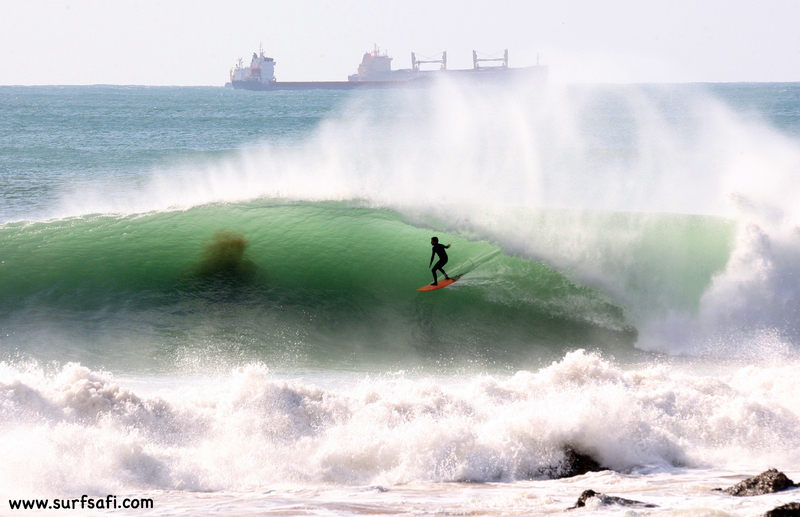 No doubt an excellent way to surf the best waves in Safi and discover everything what Morocco has to offer. Safi has one of the best point breaks in the world. Yes, in the world! Safi is a point break very famous for its long and barrel waves that show up with a minimum swell of 3 m and perfect conditions with N/E winds. 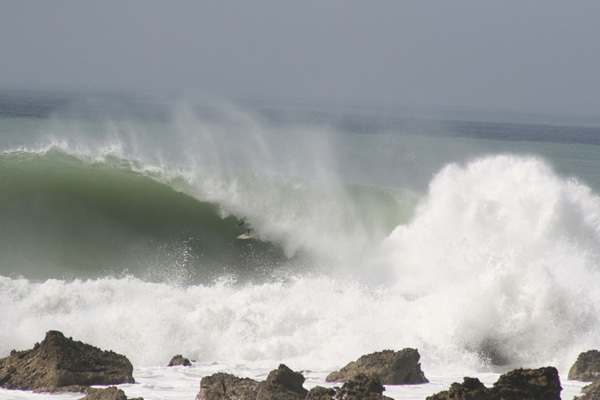 This is not a wave for beginners and you'll need som experience and knowledge how to catch this wave. Since the discovery of Safi’s wave in the late 70’s by foreign surfers, now it gets ranked many often among the top 10 waves in the world. Although there are also a lot of other scattered spots with smaller waves for beginners and ideal to improve your surfing skills. Just trust our certified surf instructors and you'll be served with the best waves appropriate to your level of surfing! Our instructors are local surfers with many years of experience that know exactly the right spot for you on that day. Beginner surf lessons take place normally in the morning, every day for a minimum of 2 hours. All equipment is provided so you just need a towel, swimsuit and sunscreen! Each group has 1 instructor responsible for up to 8 people. Coaching is done in the water to more personalized advice and always adapted to your surf level and progression. 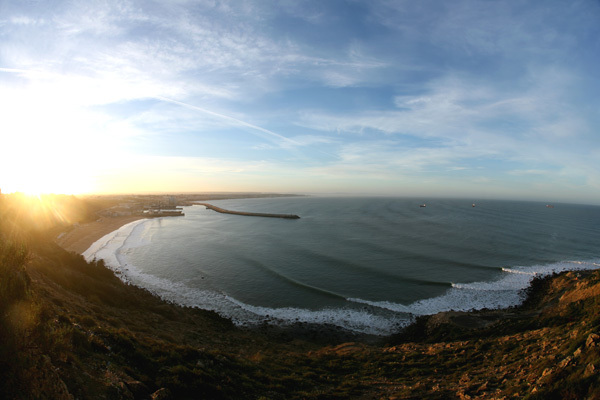 We run daily surfaris for expert surfers who wish to discover all the best spots around. Our surf guides are local surfers with precise knowledge of the swell, tides, winds and bottoms ready to take you directly to the perfect wave in Safi area! 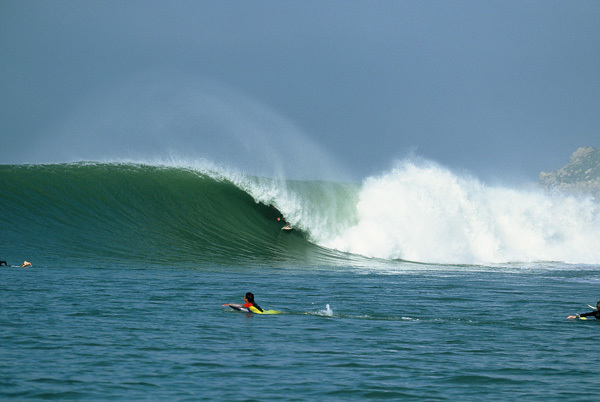 This area has been one of the major surfing destinations for both experienced and beginner surfers from all around the world because of its well-known swell consistency and perfect waves. 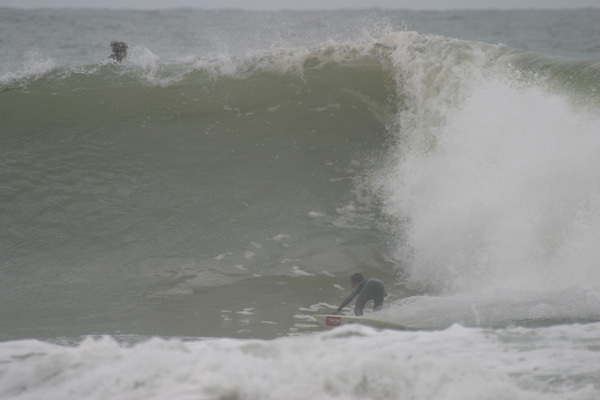 The best surfing season in Morocco is during the Winter time, from September until April due to the bigger swells caused by the storms on the North Atlantic Ocean. SURFINN © 20-04-2019 13:02:03. ALL RIGHTS RESERVED.